Get an idea of what it's like to work for KPMG Data Analytics with this virtual internship. Have a bit of fun exploring the world of a data consultant and get a great line for your resume. Come get help with all your coding or programming questions from this drop in centre hosted by WIRED volunteers. Gain valuable experience and insight from your fellow students. Join the Women in Tech team and other likeminded STEM students for these study sessions at the Russel Love Theater, Peter Hall Building in Parkville. Anyone can join and take advantage of the fantastic opportunity to study in a group of dedicated students. Validator 2 - Launch Your Startup in 5 Weeks! If you've been sitting on an idea for a while and aren't sure how to get it off the ground, The Validator might just be for you. Come along to this info session to find out more. Food, drinks, trivia and prizes. There's not much more you could want so join SMEE for a jampacked night of exciting trivia in circuits, general knowledge and so much more! What better way to spend a day of your mid sem break than touring 4 exciting CBD offices and finding out more about what it's like to work in industry. Register now for a full day event! Join Microsoft's MVPs for a full day of deep dive learning sessions about Azure and all of its related technologies! Join CCA, and leaders from Zendesk, the Australian Computing Society and Infinity Coaching to hear their extraordinary stories and take the opportunity to ask your burning questions about start-up and innovation culture in today's world. An ambitious crossover of the Women in Engineering clubs at Monash, Melbourne Uni and RMIT, this trivia night is bound to be electrifying. Grab your ticket not only for a night of food, drinks and trivia, but also for the opportunity to do some casual networking with the sponsors! A fantastic opportunity to network and get to meet representatives from some of the most popular tech companies during this jam packed industry night. MEDHACK is Melbourne’s premier student run Healthcare Innovation hackathon. 2k in prizes, masterclasses, opportunities to network with incredible mentors and more! Sign up and brainstorm innovations in assistive technology for the opportunity to win amazing prizes! If you've got an idea and no funding, this might just be the program for you. Not only do you get up to $20K in funding, but you get the opportunity to develop your idea with the help of experienced mentors and The Generator Team. Technical or coding interviews are ubiquitous in industry now, so come to this workshop if you want to make sure your technical interviews are up to scratch. You'll get to hear from the Facebook team and get their top tips to ace your next interview. Wired is a club for those curious about everything digital. 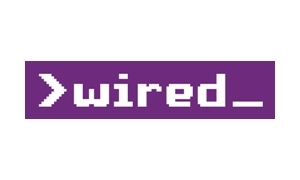 Wired offer networking opportunities and a range of social events to connect you with industry and other students in the IT space. CCA Monash helps students develop career-related skills and connects industry professionals and employers with Business and IT students. The tech industry would benefit from a more diverse workforce. DiverseIT creates a welcoming space for under-represented groups and promotes opportunities in Monash and in industry. 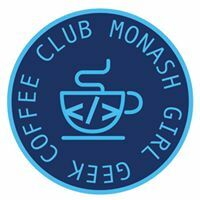 MGGCC is a meet and greet open discussion group that aims to foster relationships, networking and mentoring for women in IT over a relaxed cup of coffee (or tea, chai, chocolate). 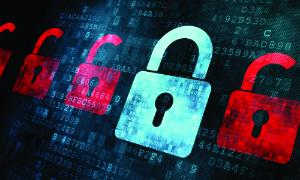 As a member you will advance your cyber security knowledge, hear about upcoming opportunities and events, and share your thoughts and experiences.